For this week's Friday giveaway, we've teamed up with Speck for something special. 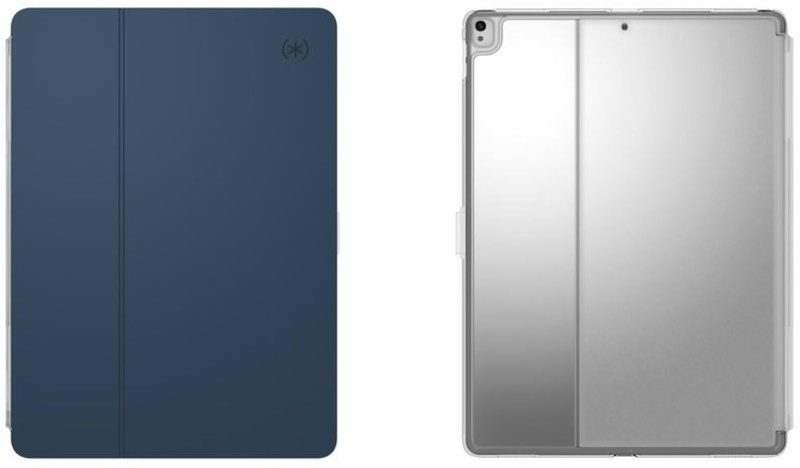 We're giving away a brand new 32GB sixth-generation iPad paired with one of Speck's iPad cases, the Balance Folio Clear. 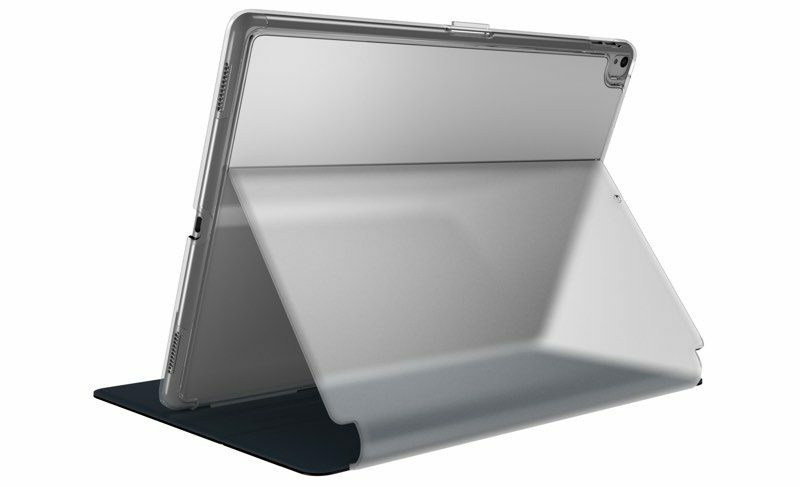 Priced at $44.95, Speck's Balance Folio Clear is made from a clear, durable polycarbonate that keeps your iPad protected but visible, leaving the design and look of the iPad unobscured. The case has been drop tested and will keep the iPad safe from scratches, bumps, and short falls. The Balance Folio Clear includes a built-in adjustable stand that can be positioned in several angles for typing, watching videos, and more, and when closed, there's a secure clasp that keeps everything shut tight for travel. Sleep/wake magnets are included so your iPad turns on or off when the cover is opened or closed. 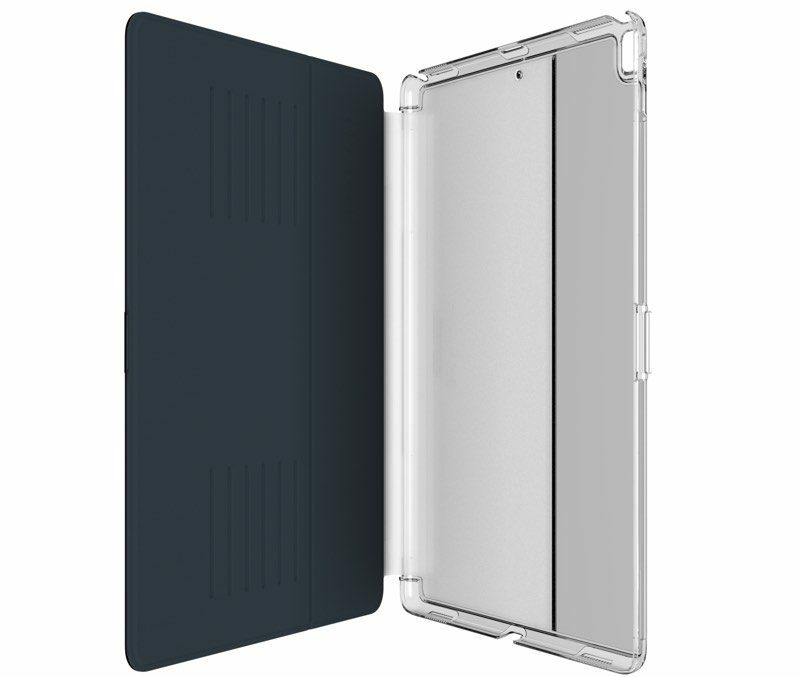 For a folio-style case, the Balance Clear adds little bulk to the iPad with the clear rear shell and thin protective front cover in black or blue. Speck is pairing the Balance Folio Clear with a 9.7-inch 32GB WiFi only sixth-generation iPad, which was released back in March and is the newest iPad Apple has available for purchase. It offers an upgraded processor and Apple Pencil support. To enter to win the giveaway, use the Rafflecopter widget below and enter an email address. Email addresses will be used solely for contact purposes to reach the winners and send the prizes. You can earn additional entries by subscribing to our weekly newsletter, subscribing to our YouTube channel, following us on Twitter, or visiting the MacRumors Facebook page. a Rafflecopter giveawayThe contest will run from today (June 8) at 11:00 a.m. Pacific Time through 11:00 a.m. Pacific Time on June 15. The winner will be chosen randomly on June 15 and will be contacted by email. The winner will have 48 hours to respond and provide a shipping address before a new winner is chosen.